Located around 140 miles from Bangalore, the temples of Belur and Halebid are one of the finest examples of Hoysala architecture. These were built by king Vishnuvardhana in commemoration of his victory over the Cholas at Talakad. Legend has it that it took 103 years to complete and Vishnuvardhana's grandson Veera Ballala II completed the task. 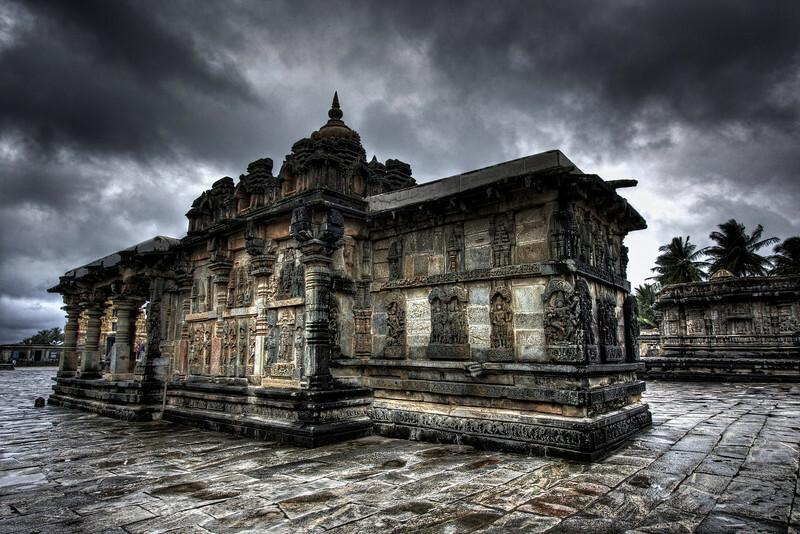 Belur is famous for its cluster of temples, the most beautiful being the Chennakeshava Temple. This shot in particular is that of the The Ranganayaki temple, a minor shrine in the Chennakeshava temple complex.